NATIONAL GEOGRAPHIC LEARNING READER: DIVERSITY OF AMERICA is part of a ground-breaking new National Geographic Learning Reader series that brings learning to life by featuring compelling images, media, and text from National Geographic. Access to a media enhanced eBook is included with each reader. 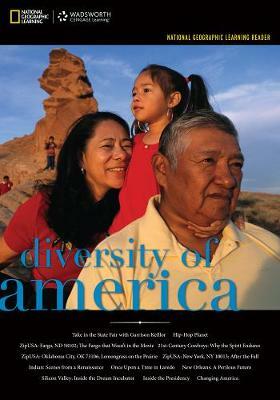 The twelve National Geographic articles gathered in this reader offer students a glimpse in to the diversity and culture in the 21st-century United States. Pre- and Post-reading pedagogy accompanies each article to reinforce reading skills and comprehension. The National Geographic Learning Reader Series connects current topics with reading and writing skills, and can be used in conjunction with any standard texts or online materials available for your courses.